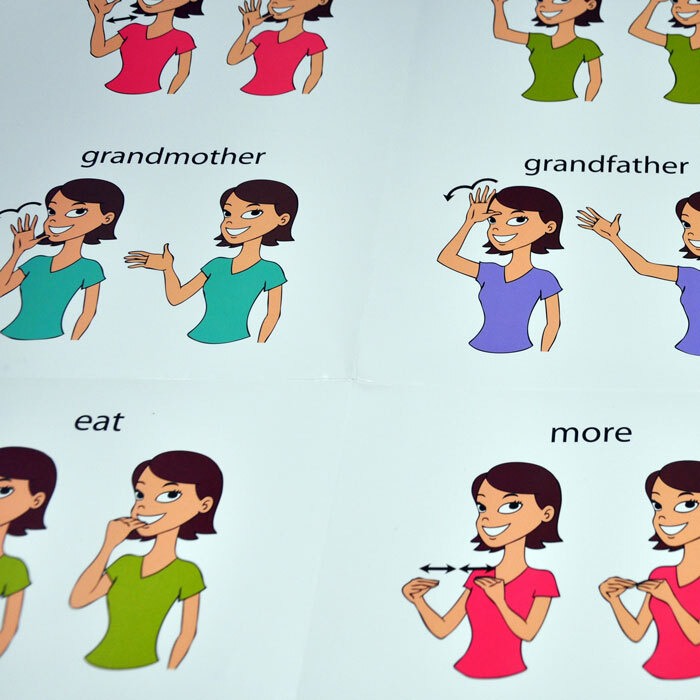 The Baby Sign Language Wall Chart shows is a handy reference to help caregivers and family members learn the basic signs. The chart contains 17 of the most commonly used signs. We want to make this decision easy and signing risk free. Your baby signs to your complete satisfaction, or your money back. If you are unhappy, just send back you purchase and we give you a complete refund. It’s that simple. Well made products! We used the chart and cards with both of my grand kids and it made communicating with them so much easier! Wonderful to see the kids able to communicate their needs, wants and ideas at such young ages! This poster is fantastic. We hung it up in the nursery and used it from day 1. 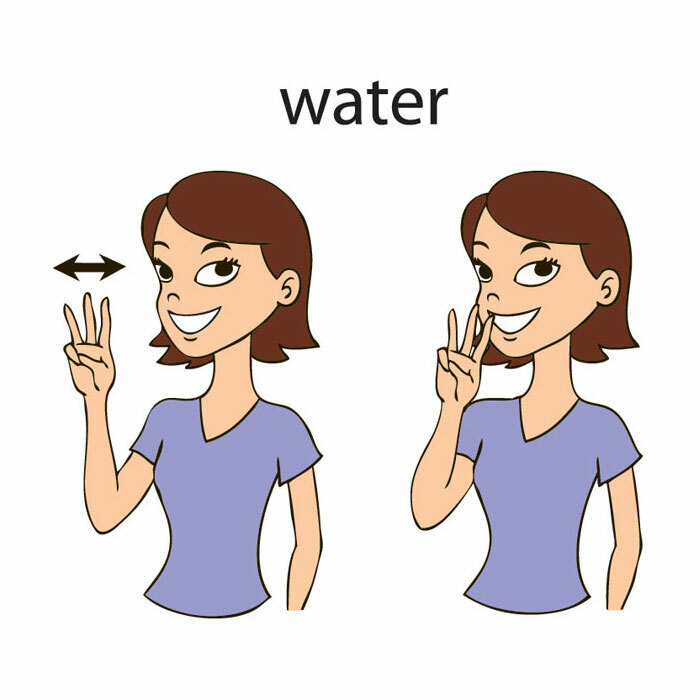 It was very helpful when the baby learned some new signs at school but we didn’t remember what they were. It is nice a thick and survived two moves and is still going strong. 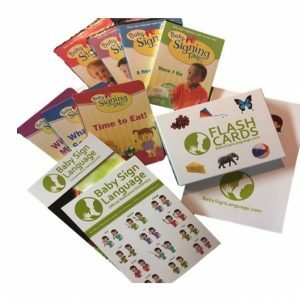 Very easy to understand and a valuable resource for anyone wanting to incorporate sign language into daily life with baby. 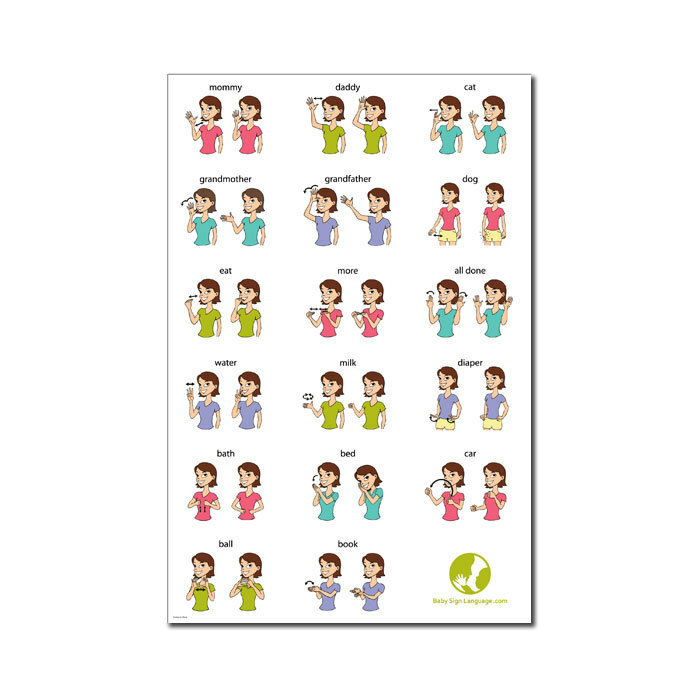 I highly recommend the wall chart with basic sign language for infants and toddlers. The signs are clear and colorful. We hung it in my son’s play area when he was six months old, and over time he learned all the signs. At 20 months, he is able to communicate effectively with signs and sounds, even though his verbal skills are not fully developed. This reduces frustrations for all of us! I was a bit skeptical of the chart at first but consistency pays off! The animations are easy to follow and my baby loves to look at them. At 10 months she was able to sign dog, all done, and more. I can’t wait for her to learn more! Love the size of this poster it’s clear and very colorful and a great addition to our curriculum in our infant room. We used the chart for our two young boys, and it has worked wonderfully! It has allowed us to communicate with them more efficiently! I got a wall chart for my niece to learn Sign Language. 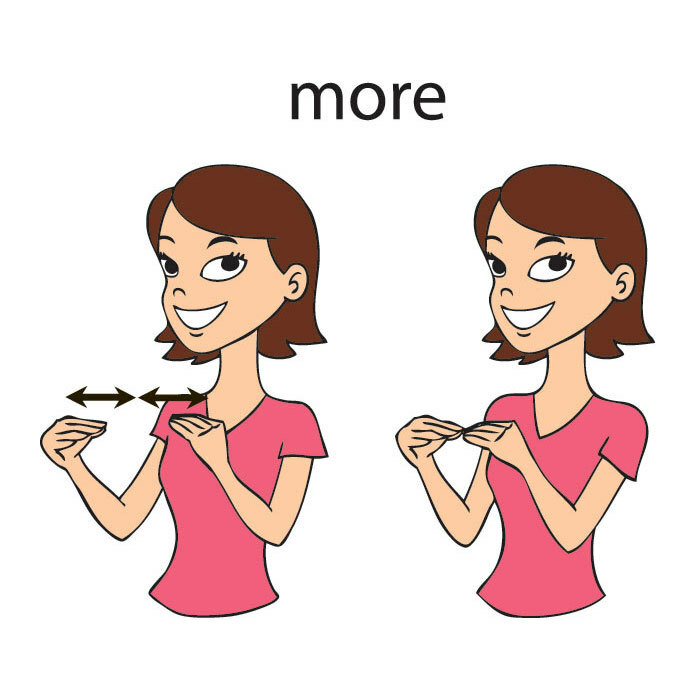 The baby sign language wall chart has been great. I work in an infant classroom at a preschool and we have it hanging up in the room. We point at the picture with the children, but also show the parents and other adults that come in the classroom. This is a fantastic product!